Is My Cast Iron a Castaway? 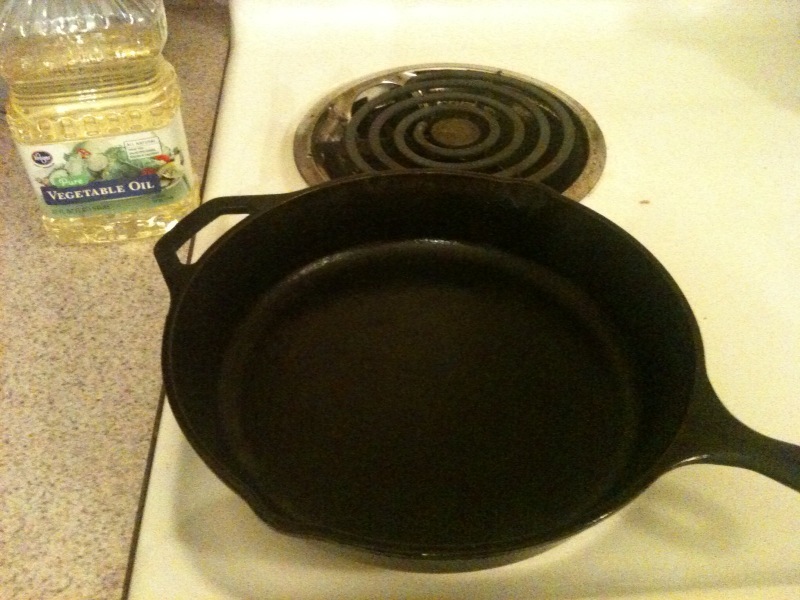 Any good Southern woman owns at least one seasoned cast iron skillet. My mom, who has been cooking up biscuits, cornbread, fried green tomatoes, and many other Southern delicacies for 30 years, had a few too many and decided to past one down to me. Yay! Well, it’s been a while since I’ve put my skillet to good use. 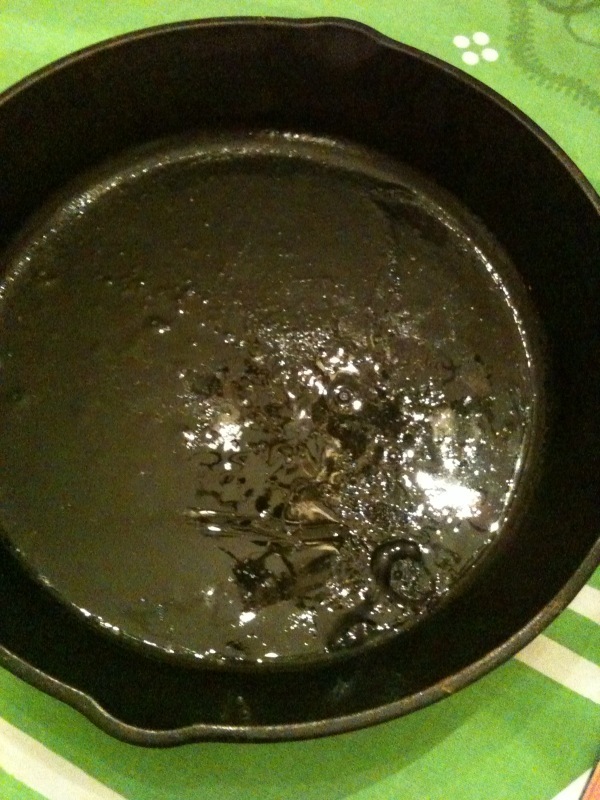 And the other day as I was shifting things around in my oven (because I tend to store things in there that I’m not using), I discovered that my dear skillet had developed a tarry, gummy, icky mess in the bottom. Eww. I can’t wait to test out the artichoke recipe in this on the stovetop! 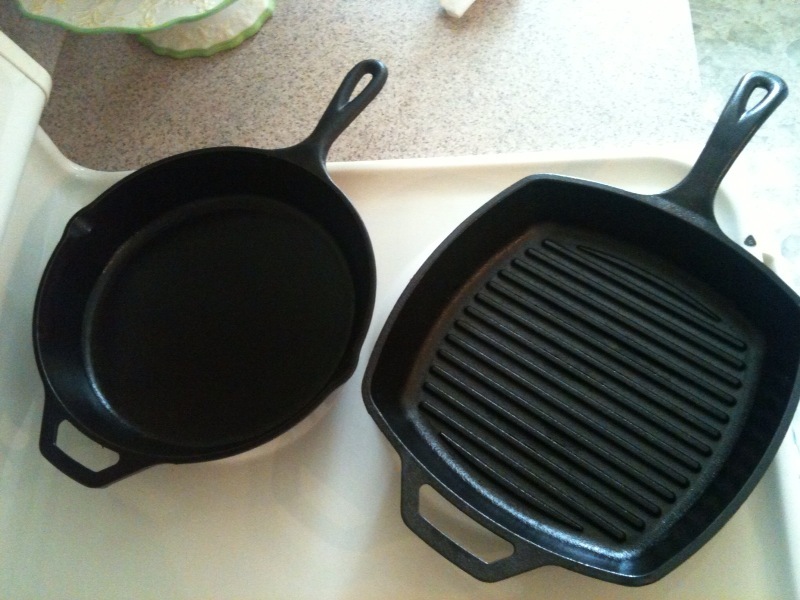 Categories: Kitchen Gadgets, Uncategorized | Tags: cast iron skillet, le creuset, lodge | Permalink. My mother Carolyn taught me how to make the best brussel sprouts in the iron skillet. I actually hate brussel sprouts if not done this way. She saute’s them with olive oil, salt, and garlic cloves, until they are almost burnt. You then put them in the oven and cook on 375′ for about 30 minutes. I am telling you I could eat them as my entire meal! Make sure you bake them in the iron skillet too! Fogot to mention that. One can use a small tub of old fashioned lard! It is cheap and preserves well! !